Virgin Australia says it will codeshare on Singapore Airlines’ (SIA) Melbourne-Wellington service as part of efforts to boost its trans-Tasman network. The airline said on Wednesday it would add its VA airline code on the route for travel from October 28 2018. 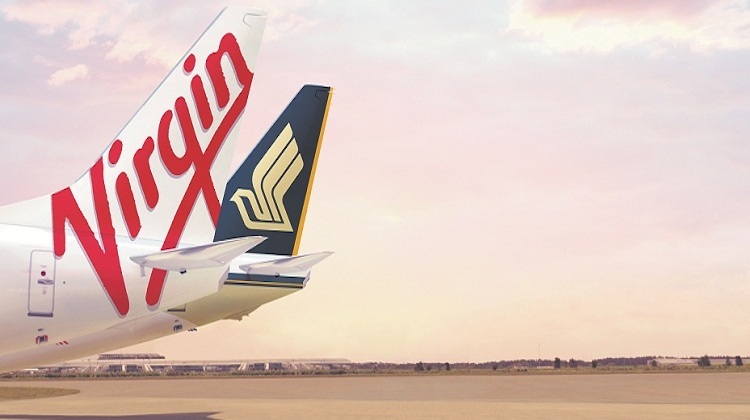 Virgin Australia already codeshares on all of SIA and its regional wing SilkAir’s flights between Australia and Singapore, as well as to destinations across Asia and Europe beyond Singapore. 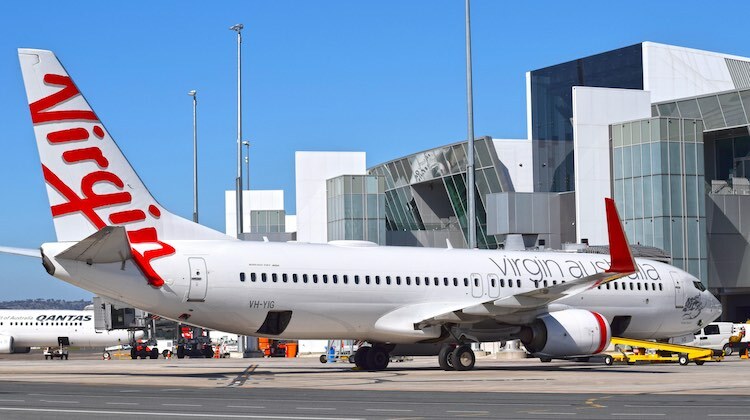 The codeshare agreement is Virgin Australia’s latest initiative to redesign its trans-Tasman operations following Air New Zealand’s decision in April to walk away for the pair’s seven-year joint-venture alliance when it ended in October in favour of going it alone on the Tasman. 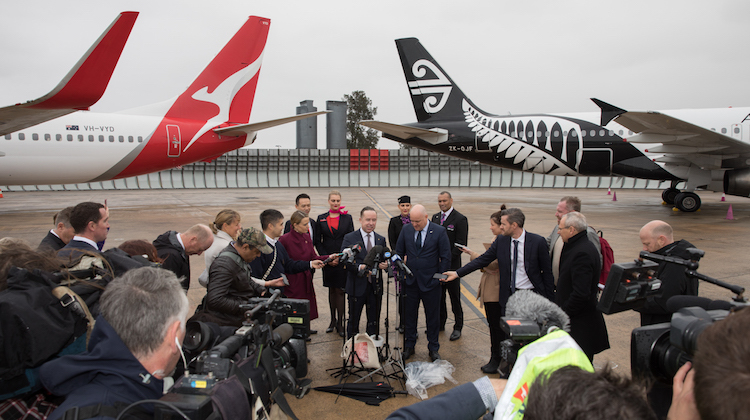 Since April, both Virgin Australia and Air New Zealand have announced plans to increase capacity between Australia and New Zealand once the alliance is formally concluded to build their own presence in certain markets and balance their networks. Virgin Australia is adding some new flights to Auckland, Queenstown and Wellington, as well as a new seasonal Newcastle-Auckland offering. Meanwhile, Air New Zealand plans to boost its schedule to Brisbane, Melbourne and Sydney. Further, Virgin Australia has flagged deploying its low-cost carrier (LCC) Tigerair Australia on trans-Tasman routes. However, total capacity on the Tasman was not expected to change significantly compared with a year ago given the impact of Emirates having withdrawn its Airbus A380 flights from Brisbane, Melbourne and Sydney to Auckland in recent times. Air New Zealand has also signed a codeshare agreement with Qantas to gain access to Australian domestic destinations it does not fly to. Under the deal, Air New Zealand will add its NZ airline code on 85 Qantas-operated domestic services in Australia, while Qantas will add its QF code on 30 Air New Zealand-operated domestic services in New Zealand for travel from October 28 2018. There is also reciprocal lounge access for eligible frequent flyers. Freed from the shackles of the alliance with Air New Zealand that required an alignment of on-board products and services, Virgin Australia is now able to tailor its own offering on the Tasman. So, in addition to the codeshare agreement with its existing alliance partner and major shareholder SIA, Virgin Australia is also improving its on-board and frequent flyer offering on its trans-Tasman flights. From October 28 2018, Virgin Australia economy class passengers travelling between Australia and New Zealand will have a 23kg checkin allowance with every ticket, in addition to what the airline has described as a “substantial meal and drink”. Currently, Virgin Australia’s lead-in economy fares for flights between Australia and New Zealand did not include any checkin baggage allowance or any food as part of the ticket. Baggage, if required, could be purchased separately, while there was a buy-on-board menu for those wishing to have a bite to eat or something to drink during the flight. Virgin Australia also planned to offer inflight internet Wi-Fi on all trans-Tasman flights from October 28 2018, with 15 minutes of complimentary access and a range of paid packages available for purchase. “Last year, 1.5 million Australians flew to New Zealand and we’re looking forward to making their trip across the ditch even more enjoyable with a meal and drink as well as Wi-Fi so they can keep connected whilst in the sky,” Virgin Australia group executive for airlines Rob Sharp said in a statement. 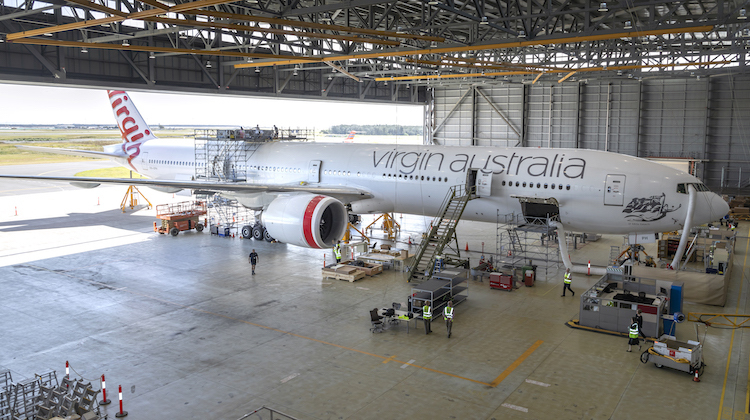 Virgin Australia has partnered with Gogo, using the 2Ku dual-antenna technology (one for the forward link and one for the return link) for its inflight connectivity, which uses Optus satellites for domestic and trans-Tasman services and Intelsat and SES for its other international flights. It has officially switched on inflight internet Wi-Fi for customers on its Boeing 777-300ER fleet, declaring itself to be the first Australian airline to offer Wi-Fi on international services. In June, Virgin Australia said inflight internet Wi-Fi was available on 10 of its Boeing 737s, with 75 per cent of the fleet to have the technology by the end calendar 2018. Its six Airbus A330-200s, which are mainly used on flights between Perth and Australia’s east coast capitals, as well as from Melbourne and Sydney to Hong Kong, would be fitted with inflight internet Wi-Fi in early 2019. On domestic flights, Virgin Australia is offering a so-called standard Wi-Fi free to all passengers, while those wanting a faster connection – for on-board streaming for example – can opt to pay for a high-speed service. There will also be a change to points and status credit earning on Virgin Australia’s trans-Tasman, Pacific Islands and Bali flights. Instead of earning points per distance travelled, Velocity Frequent Flyer members will earn points per dollar spent on the fare for trans-Tasman, Pacific Islands and Bali flights. I wouldn’t be suprise a Wellington/Canberra/Wellington service operated by Virgin Australia metal using SQ/VA flight numbers starting next year. Singapore Airlines is keen for a Wellington/Canberra ‘Capital’ connection services. Also Virgin Australia has announced that all their flights between Australia and New Zealand will have wifi from 28 October 2018. Interesting, you will be able to check bag up to 23kg as part of the ticket. Qantas allows 30kg. I am intrigued to know what the substantial meal and drink is. I don’t see the relevance of the QF comparison for this article, however to now directly compare them 100% of Virgin flights to NZ from Oct will have free wifi, Qantas 0%. The same stats on North America flights also. Can we please have a direct Hobart to Auckland service, I have talked to a lot of people who said the would use it. Daniel, back in the late 70’s Ansett and TAA both had services from Tasmania to New Zealand. I agree why don’t the airlines have them now. Also Virgin Australia please start services between New Zealand and Canberra ASAP get well and truly ahead of those other two airlines that seem to rule the roost on the Tasman especially after this new deal. I just feel sorry for the Kiwi’s as I can see not much competition on there domestic market once Qantas and Air New Zealand get truly intertwined over the next 12 months.